Kodi Pulse build is one of the best Builds for Firestick – hands down. So check out this easy-to-follow tutorial (with Screenshots) and Video walk-through to install Kodi 17.4 Pulse Build in Kodi 17.4 (KRYPTON). Watch the Kodi Pulse Build install YouTube tutorial video (above) or follow the Step-by-step written guide (below). First, make sure “Unknown Sources” are enabled in Kodi to continue with the Pulse Build install process. When Kodi asks if you’re sure, select “Yes“. See a “Confirmation” popup? Select “Yes” to confirm. To install the Ares Repo in Kodi, follow the steps below. Ares Repo is a file location which stores the latest version of Ares Wizard! Ares Wizard is an amazing collection of Kodi builds. Then choose the “Add Source” menu item in Kodi Firestick (or other version of Kodi). Enter the URL shown. Then press “OK” to continue. Now select OK once more to completely finish adding the new source. Go back to the Kodi home screen. Then select the “Add-ons” menu item from the Kodi home screen. Then select the “Package Installer” icon from the top left corner of the “Add-Ons” area of Kodi. Now choose Ares Repo in the box that appears on-screen. Now select the file named repository.aresproject-x.x.x.zip to open the Ares Repo installer zip file. Give Kodi a minute to install the Ares Repo (just wait – be patient!). When Kodi is done installing Ares Repo, Kodi may or may not display a notification in your screen saying “Add-On Installed”. Select “Ares Wizard” from the list of menu items in the “Program Add-Ons” folder. Wait for Ares Wizard to install and launch itself. If Ares Wizard does not self-launch, then go to the Kodi home screen and select “Ares Wizard” under “Add-Ons”. To see the Steps below in my Kodi Pulse Build YouTube tutorial, skip to 8m50s. After Ares Wizard launches, dismiss any notifications that appear. 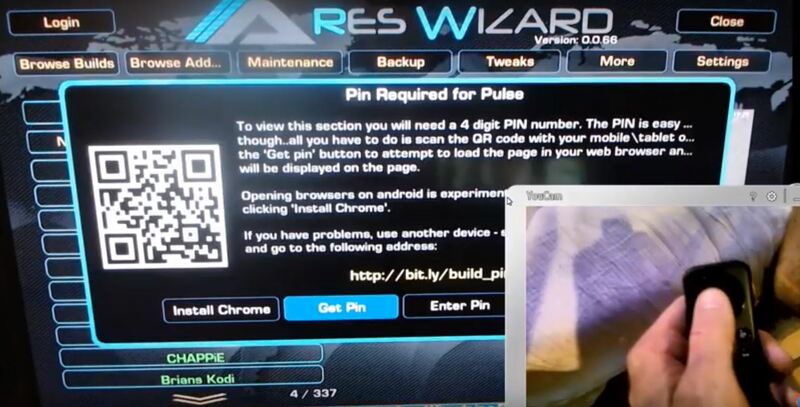 Enter the address shown on-screen into a browser window (smartphone or computer) to get your Pulse Build PIN number! 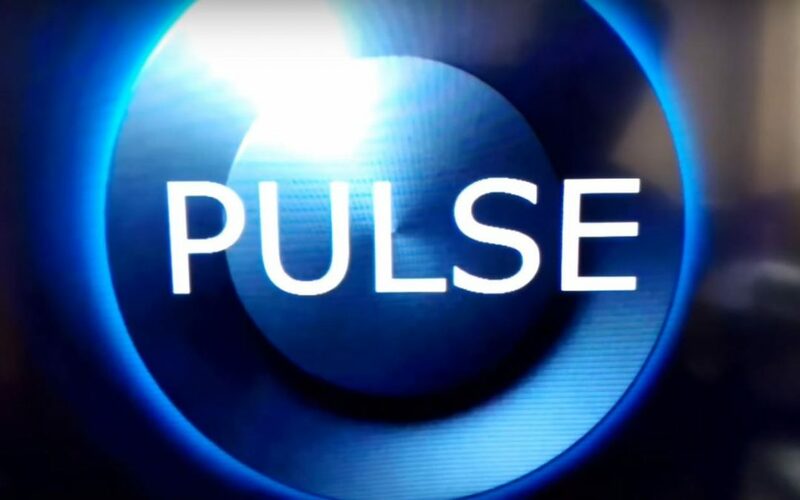 After you select “Install”, select “Proceed” to get the Ares Wizard to begin downloading Pulse build for Kodi Firestick or other Kodi platforms. Wait for Pulse Build to finish downloading and extracting. If the Ares Wizard / Pulse Build installer says “Errors occurred during extraction“, then select “No” because we don’t want to view the log file. We just want to use Pulse Build for Kodi! Then Kodi will say “Thanks for using Ares Wizard”. When you see this, select “No“. Now Kodi displays a popup that says “Kodi needs to be closed. Press OK to attempt to close Kodi”. When you see this, select “OK“. If Kodi re-launches by itself, then you’re done! Enjoy Pulse Build for Kodi Firestick. Although if Kodi does not relaunch by itself, then re-launch Kodi yourself from the Amazon Firestick homescreen by going to Settings > Manage Installed Applications (13m33s) > View all applications > Kodi > Launch Application. In Step 5 above, most users will select the “Krypton” option. For example, my Kodi version is 17.4, so I choose the latest version of PULSE Build, which is 17.3 or 17.4. I installed 17.3 and it worked fine in Kodi 17.4 Firestick. Nice post onn on-line video streaming with Amazon.